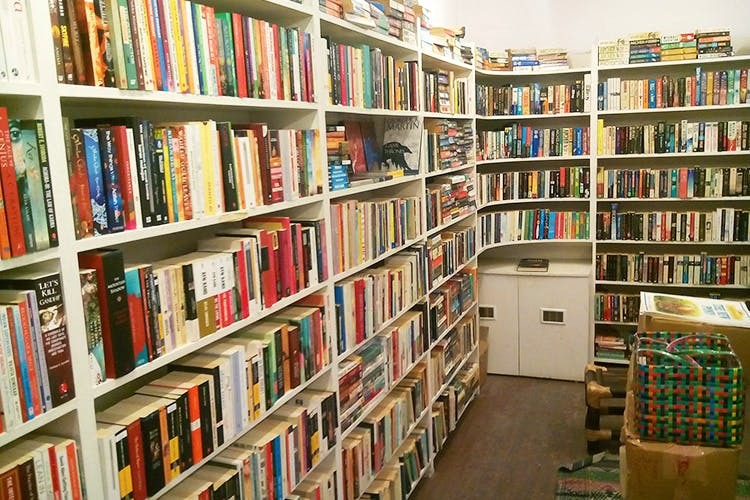 Paperback Bookshop on Kalyan Nagar’s CMR Road is a charming bookstore that’s a neighbourhood favourite. The handpicked collection here is a mix of the latest bestsellers and second-hand books that come at discounted prices. Walking down the crowded CMR Road in Kalyan Nagar, you’ll find it hard to walk by the Paperback Bookshop store without giving it a curious glance. You can peek in through the glass door to see a compact shop lined with shelves neatly packed with books. Step in and the store runners extend a warm welcome. Paperback Bookshop has another branch in Bangalore — at Ranga Shankara. There’s also another at Mumbai’s Prithvi Theatre. All of them have the same cosy feel we are told. The Kalyan Nagar one, started around two years ago, has quickly become a neighbourhood darling. You’ll find patrons stopping by to browse through the collection or even to say a quick ‘hello!’.Since this is a compact store don’t go expecting the range that online platforms or even Blossoms have on offer. However, what we love about the store is that the owners (who are former journalists) take pains to handpick each book. The collection is well-thought off and even if you don’t find what you are looking for, chances are that you still leave with another book. One chunk of the store offers newly-printed books sold at MRP. You’ll spot everyone from Rumi to Tolkien, Naipaul and Ibsen here. There’s also a wide selection of the second-hand books. Care has been taken to see that the books are in good shape and the prices are pocket-friendly. Here, the Stephen Kings rub shoulders with the Danielle Stelles and there’s plenty more. If you are a fan of illustrations, we recommend that you stop by the kid’s section. You’ll find storybooks and comics that come with vintage-style drawings that you can’t take your eyes off.